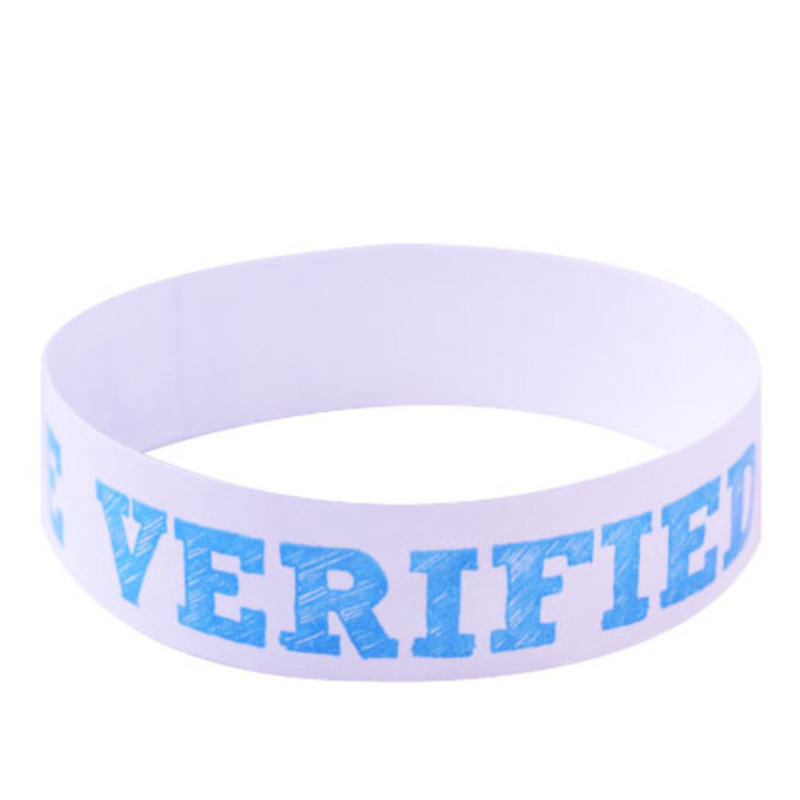 500 Blue Age Verified Tyvek Wristbands. Our disposable, one-time use paper wrist bands are crucial for an event that requires age verification. Order before 2pm ET and your wristbands will ship out the same day. Sold in multiples of 500.